Great Yarmouth and Caister Golf Club is regarded by most members and visitors as one of the friendliest clubs in the County. All are made welcome who come to the club. The club caters for all ages and gender with full programmes, both golfing and social, available to members and guests. To walk close to the sea with a brisk breeze on your cheek and firm, sandy turf beneath your feet is to experience golf not only as it was hundreds of years ago but arguably as it should be today – a simple beguiling game in no need of embellishment. Surely there is no more complete test of one’s skill or character. 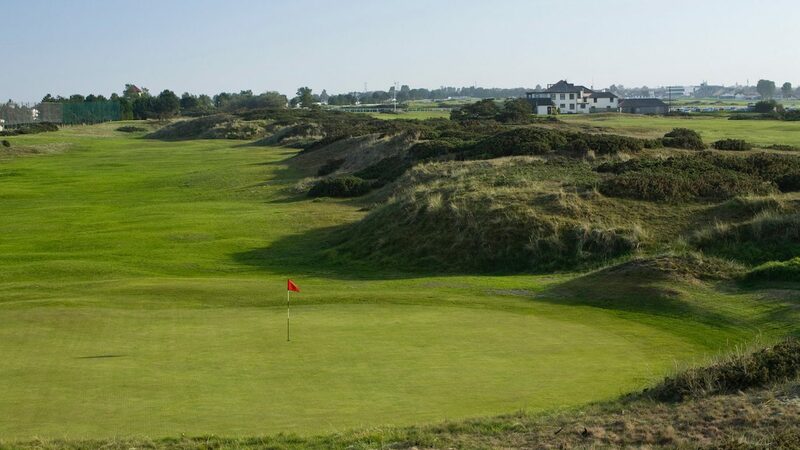 Standing up to the elements, handling good and bad bounces with equal grace, using mind over muscle to navigate a curious landscape – these are the challenges that give the pleasurable excitement of golf on the Caister links. Founded in 1882 by Thomas Brown RH, the club was fortunate in its early years, in being adopted by members of Royal Blackheath Golf Club who provided Captains, Officers, members and trophies. The club is, therefore, steeped in history being the oldest club in Norfolk. We tailor your golf day to your requirements. Prizes can be supplied. Separate dining room. Packages of 18/28/36 holes with Winter packages available. All Society bookings to be made through the Pro Shop on 01493 720421. From the A47. On reaching Great Yarmouth, at the first roundabout, take the 2nd exit onto New Road/A47. At the second roundabout, take the 1st exit onto North Quay / A149. Continue on for 1.5 miles until the next roundabout, take the 2nd exit onto Yarmouth Road after 100 yards, the entrance to the Course is on your right. If visiting the area why not stay at the classic 4* Imperial Hotel on the sea front in Great Yarmouth and enjoy Complimentary Golf as a hotel resident on the classic links here at Great Yarmouth and Caister. You are welcome to use the practice facilities and our Pro Shop carries a wide range of equipment and clothing. Please report to the Professional’s shop when you arrive.